Why a Holiday in India is a great idea? Incredible history and culture? Check. Amazing wildlife experiences? Check. Diverse natural beauty? Check. Mouth-watering food? That one’s most definitely got a big check! Just thinking about all the reasons why holidays in India are a great idea makes us want to hit the road again. We understand that coming to India can be a bit daunting (and that’s why we’re here!) – it is a vast country that you could spend a lifetime travelling across. But the fact is, no matter what sort of holiday you’re looking for, you’ll certainly find it here. A vacation in India can be rewarding in unimaginable ways – it’s a place that invites you to reconnect with nature, and to reconnect with yourself. Each part of the country is unique and special in its own way. 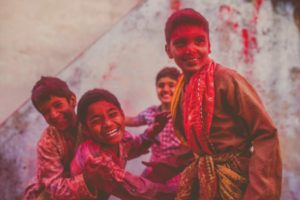 Click here to talk to us about what you want out of your trip to India and we would be happy to plan it for you. 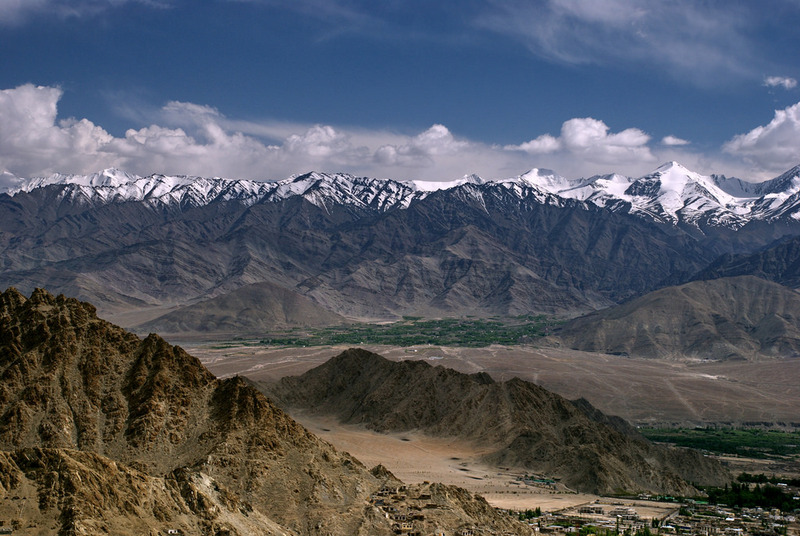 Here’s why we think India should feature right on top of your must-visit list. We do colour (and chaos!) like no one else! Whenever we think – ‘why India?’ this is the first thing that comes to mind. It’s overflowing with cultural experiences, and every which way you look, there’s bursts of colour and vibrance! There’s always a festival to witness, and even everyday life offers plenty of stimulation to your senses. This can get overwhelming at times, so it’s a good thing, then, that. Coming to India is what people do when they’re looking to find themselves, and we can see why! From some absolutely tranquil places, like the mountainscapes of Ladakh and the verdant green hills of Munnar, to the thread of spirituality that runs through life in India, peace and calm is up for the taking here. You can retreat from the world to a secluded getaway when you’ve had enough of the clamour and chaos of the cities. You can sign up for yoga classes and centre yourself. Cleanse your body and soul with an Ayurveda program. The options are endless! Check out our articles on Spirituality in India for more. Crossing state lines in India invariably means discovering a whole new culture – everything is different! Clothes, food, architectural styles, even languages vary in different regions of the country, and it’s an amazing thing to experience. As you journey from place to place, you get glimpses into a variety of new worlds, all interlinked, but yet unique in their own ways. The food is incredible – and diverse! Indian food might be limited to curries and kebabs when you’re outside the country, but the food that you get once you’re here is a whole other story. Like we said before, each region has its distinct culture, and the foods display that oh-so-well! Each part of the country embraces ingredients that are local to that area and suited to the climate as well, so you’ll get light, fresh, coconutty meals towards the south, and richer, denser flavours as you travel northwards. In fact, we think that exploring the country through its diverse food offerings is one of the best ways to understand it. A lot of traditional Indian foods are very seasonal, and recipes have been crafted keeping what’s best for the body at different times of the year in mind, along with what’s locally available. Yes, we’ve been doing that for centuries now! And, we know how to cook vegetables like no one else, if we may say so ourselves. Swathes of India are covered in forests, and they’re rich in a wide variety of wildlife. Apart from the tiger, which is what most visitors want to see, there are rhinos, bears, elephants of course, and plenty of other creatures big and small. It’s also a great destination for bird-watching, with a huge range of Avifauna, both resident and migratory, that can be seen. The jungles in the middle of the country are tiger land, the northeast is home to the rhinos, the south to leopards and elephants, and the Himalayas are home to the majestic snow leopard, red panda, and much more. There’s even the Western Ghats, which is a UNESCO World Heritage site, and is classified as a hot-spot of biological diversity. No matter which part of the country you visit, there’s something wild to be seen! The sheer size of the country means that you’re bound to have good time in some part of the country, no matter when in the year you visit. Having said that, general consensus is that the best time to visit India is in its winter months, from November to March. It’s when the weather is at its most pleasant (though the more mountainous parts get snowbound), and there are plenty of festivals at this time of year, too. We’ll be happy to help you plan your trip to India – reach out to us and let us know what interests you most!